From the early 1960’s until his arrest in 2003, Saddam Hussein was involved heavily in the politics and overall administration of the affairs of Iraq. The “butcher of Baghdad”, has a history that should be written in blood. Under Saddam’s rule, his government was responsible for a cumulative number of about 250,000 Iraqi deaths and even that is a moderate estimation. Saddam was a nationalist and socialist and was also a member of the Ba’ath Party at various levels. Following his official assumption as Supreme ruler of Iraq in 1979, he immediately set about quashing any perceived upheaval or uprising from the likes of the Sh’ias to the Kurds among others. He also seized total control of the country’s oil and financial system and filled an extreme majority of government positions with his fellow Sunni Arabs who were actually a minority group. Hussein was eventually deposed by the United States and their allies in a 2003 invasion, albeit on a false accusation his government had possession of a weapon of mass destruction. He was tried and sentenced to death three years later, in 2006 by an Iraqi court for his crimes against humanity which included the slaughter of 148 Shi’a Iraqis in 1982. Born Saddam Hussein Abd al-Majid al-Tikriti, his mother Subha Tulfah al-Mussallat gave birth to him a few miles outside the town of Tikrit. Saddam, whose first name means “one who confronts” never knew his father and went to Baghdad to stay with his mother’s brother Khairallah Talfah as an infant. Hussein returned to his mother after she remarried. However, her husband, Hussein’s stepfather wasn’t welcoming and dealt with Saddam with an iron fist. He eventually fled and returned to his uncle when he was 10 years old. On his uncle’s advice, Saddam Hussein did his secondary education steeped in nationalism. He followed this up with three years in an Iraqi law school. However, he opted out of his education in 1957 and joined and became a member of the pan-Arab Ba’ath Party. As a member of the Ba’ath party, Saddam was inspired by the pan-Arab nationalist ideology of Halal Abdel Nasser. The wave of political revolution that took place across the Middle East in these times, saw monarchies overthrown, including the Fasai II of Iraq in July 1958. Saddam’s Ba’ath Party had majority seats in the Cabinet of the next government led by General Qasim. However, they soon fell out with the new leader of Iraq due to his opposition to Nasser’s Pan-Arab ideologies. The party concluded to assassinate Qasim and Saddam was chosen as the one to spearhead the operation. The assassination attempt was unsuccessful, only managing to leave Qasim injured. Saddam and a few of the other perpetrators fled the country for Syria, the home of Ba’athist thinking and philosophy where he was fully accepted into the party by Michel Aflaq, the principal of the Ba’athist movement. Saddam moved to Egypt in 1960 where he finished high school and tried his hands at a degree in law, albeit unsuccessfully. He returned to Iraq in 1963 after Qasim had been overthrown in favor of Abdul Salam Arif. However, he was on the fringes of political affairs until his incarceration in October 1964. He served time until sometime in 1966 when he broke out of prison. Shortly after, his organizational talents led to him being given the office of the Deputy Secretary of the Regional Command by Ahmed Hassan al-Bakr. In 1968, Hassan al-Bakr and Saddam Hussein overthrew Abdul Rahman Arif, the brother of Salam Arif (who had succeeded the latter as President) and took over as President and Deputy respectively. Saddam’s influence in the party and in national politics swiftly became very evident. More than Al-Bakr, he was the force that kept everything together and moved the Ba’ath party forward. As his influence grew within the government structure and his support base widened, Saddam created a well structured and fortified security system to prevent coups from happening. In June 1972, he led the effort that saw Iraq seize oil interests from expatriate entities. This resulted in a serious revenue windfall the following year due to the energy crisis that took place. The 1970s were a golden period for Iraq and it’s citizenry. Saddam Hussein championed many causes chief of which were fighting illiteracy and diversifying the largely oil-based economy of the country. He was also instrumental in signing the 15-year Treaty of Friendship and Cooperation with the Soviet Union in 1972. This was a move that undermined the United States established security infrastructure in the Middle East. By 1976, Saddam was more or less the leader of Iraq, with his position as a General in the Iraqi Armed Forces. He eventually took over officially in 1979 from Al-Bakr whose health couldn’t allow him to continue as Supreme Leader. A few weeks after his take over, Hussein had 68 members of the Ba’ath Party leadership sentenced to death after accusing them of being disloyal to the cause. He went on to execute a lot more in weeks that followed. Thanks to the Ba’ath Party’s paramilitary and the Department of General Intelligence, Saddam continued to strengthen his grip on the government. These bodies helped seek out and quash coup attempts and eliminate perceived opposition within and outside the shores of Iraq beginning in 1974. His vice-like grip on the country’s highest seat saw him win two clearly questionable elections in 1995 and 2002, the latter of which he secured 100 percent of the votes cast. In the years that followed the 80s, Saddam would go on to pit himself against the likes of Iran in the Iran-Iraq war with solid allies like the United States and France behind him. He would later turn against the US after they declared friendship with and support for Israel under George H. W. Bush‘s administration. In the early 90s, his ambition to make Kuwait part of Iraq triggered the Gulf-War. 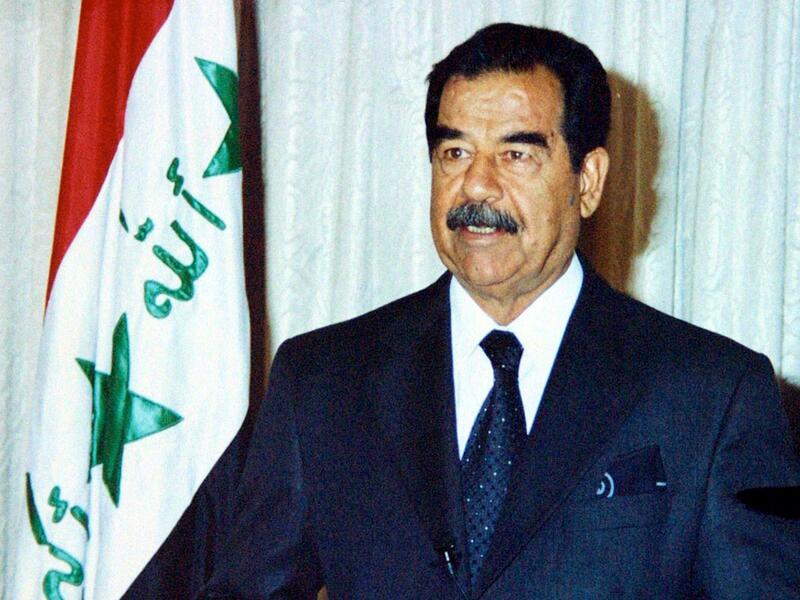 Going into the late 90s and early 2000s, Saddam Hussien continued to struggle to keep hold of his power. There was increasing unrest within Iraq, a growing list of influential enemies, as well as the United Nations bearing down on his administration. It all came to a head when on March 20, 2003, a military coalition led by the United States invaded Iraq, crushing his administration and the country’s military in a matter of weeks. Saddam disappeared following the invasion. He was AWOL for months and was eventually captured on December 13, 2003, in Operation Red Dawn. Loosely designated as “Vic”, which stands for “Very Important Criminal”, the deposed president was kept in a Baghdad detention facility. He was later moved to Camp Cropper, a U.S base where he was tried by the Interim Iraqi government. He was found guilty of crimes against humanity on November 5, 2006, and sentenced to death on December 30 of the same year. What is Saddam Hussein’s Religion? Broadly speaking, Hussein was born, raised and remained a Muslim to his dying days. However, among the many sects and factions of the Muslim faith, the former President belonged to the Sunni Muslim sub-tribe and ideology. The Sunni’s had a more rationalistic and progressive ideology than the other major sects like the Shi’ites who were more traditional in their thinking. The Sunnis were a minority group of the Muslim faith which many regards as remarkable considering the fact that Hussein seized power, populated his administration with Sunni’s and held on for as long as he did. Considering both rumors and reality, the former Supreme leader of Iraq was married four times from 1963 to 2002. His first wife was Sajidah Talfah whom he was betrothed to since he was five years old. Sajidah who is older than Saddam is his first cousin and daughter to his uncle Khairallah who basically raised him and taught him everything. The couple was married in 1963 after Saddam returned from his exile in Egypt. 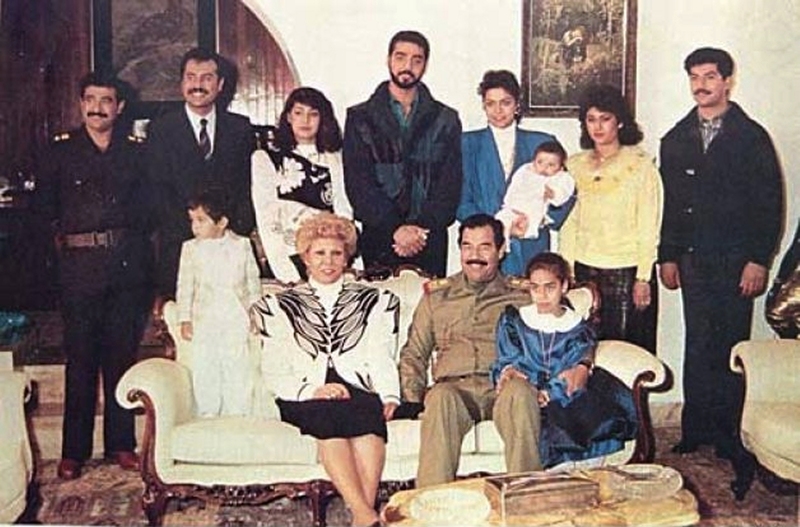 They had five children together: two sons, Uday Hussein (1964), and Qusay Hussein (1966), and three daughters Raghdad Hussein (1968), Rana Hussein (1969), and Hala Hussein (1972). Saddam Hussein’s second wife started out as his mistress. He would later pry her from the hands of her high profile husband and marry her in 1986. The woman, Samira Shahbandar was rumored to have had a child for the leader before she escaped to Lebanon. Hussein was said to have taken a scientist, Nidal al-Hamdani as his third wife, and subsequently Wafa el-Mullah al-Howeish, the daughter of the former Iraqi minister, Abdul Tawab el-Mullah Howeish in 2002. Hussein was a man of average height and stands reasonably placed among the world’s A-list tyrants in terms of height. Taller than Muammar Al Gathafi and much shorter than Osama Bin Laden, he stood at a height of 6 feet 1 inch (1.86 m).